NBC Connecticut is proud to connect you to the Inspiration 2 innovation (i2i) Challenge presented by the Talcott Mountain Science Center. 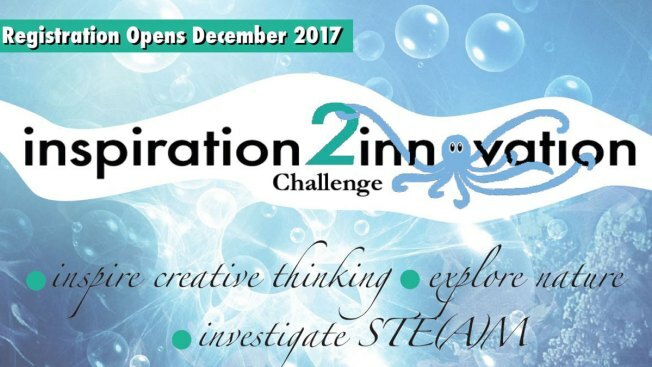 Inspiration to Innovation (i2i) Challenge is a part art show/part science project for students in grades K-8 to explore nature and investigate STEAM. Using inspiration from ‘Under the Sea’ a classroom or individual student can enter, create or illustrate a work of art that focuses on aesthetic value, an engineering concept, solving a real-world problem, or any combination of the four. All accepted entries will be displayed at a public exhibition at the New Britain Museum of American Art. The challenge is open to all Connecticut resident students from Kindergarten through 8th grade. Talcott Mountain Science Center provides a vital interface between current scientific principals and technology as they apply to science education. They are advocates of ‘STEAM’ (Science, Technology, Engineering, Arts and Mathematics).